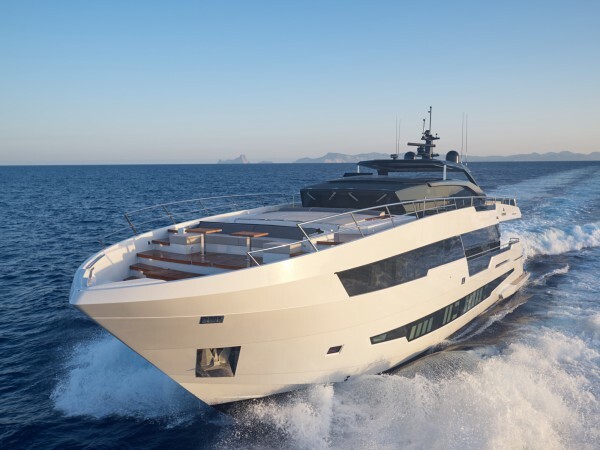 Following a press conference at Astondoa Shipyard paying tribute to its 100th year of operation, SuperyachtNews was invited for a sea trial on board the Spanish builder’s latest superyacht model, Century 100 Ninitas. The Century 100 is the second model in the range after the Century 110, of which three hulls have already been delivered. The Century 100 has evidently been designed with large groups in mind, with interior volume having been maximised for an LOA of 30.5m. 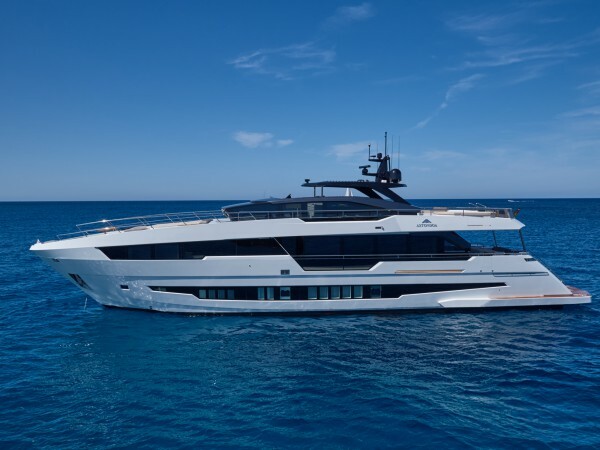 As Astondoa’s commercial director Jaime Cortecero points out, the Century 100 feels more like a 32m to 34m yacht on the interior. This, in part, can be attributed to an elevated pilot house, which allows for a full-beam owner’s cabin on the main deck. Further guest accommodation is provided in four cabins situated amidships on the lower deck, allowing for a total of 10 guests on board. 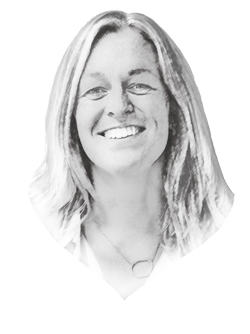 “With over 100 years of experience, Astondoa understands what its clients want,” says Cortecero, explaining that living space and privacy are factors high on their clients’ wish list. As such, interior volume has been optimised and there is an extensive use of glass to enhance natural light on the interior. The exterior hosts a number of large guest seating options on the bow, flybridge and stern, which have been designed to be as secluded as possible. The raised pilothouse creates unusual lines, giving an almost top-heavy appearance. However, as previously stated, the client benefits from this with increased volume and expansive deck space on the bow. 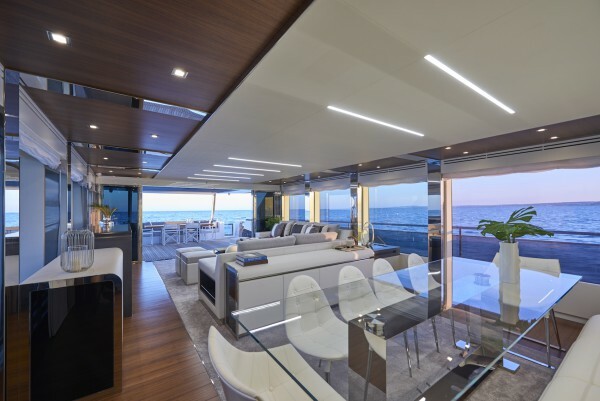 The inclined windows of the pilothouse give the yacht a heavy-duty look, which is purely for aesthetic purposes. 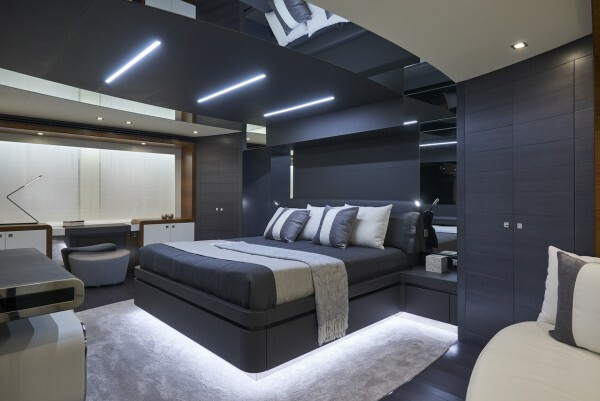 Commissioned by a Spanish client, Ninitas’ interior design has been created by Christian Gatto Design studio in collaboration with Astondoa’s in-house design team. The interior is clean and modern, with the main theme combining oak elements in coffee hues with the use of glass and buffed stainless steel. Ninitas features a planing GRP hull and GRP superstructure, built to RINA classification. Two MTU 2.186 HP engines mean the boat’s maximum speed can reach between 22 and 26 knots, and she has a comfortable cruising speed of 20 knots. With a limited range of 600nm, Ninitas is not designed for remote, long distance cruising, but this is not too much of an issue for clients that want to be based in the Mediterranean. The yacht is also fitted with zero speed stabilisers, increasing comfort when stationary or at anchor.